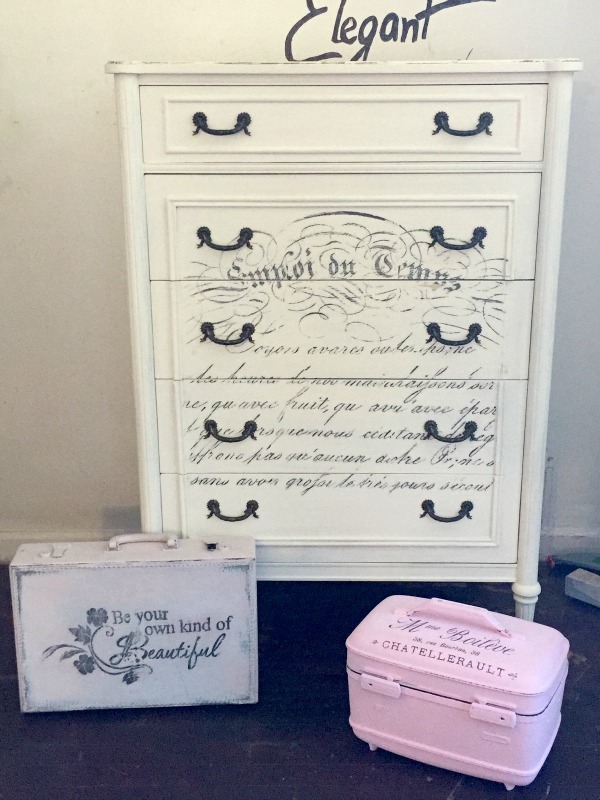 Tonight’s reader feature is this gorgeous DIY Scripted Dresser, which was submitted by Diane. 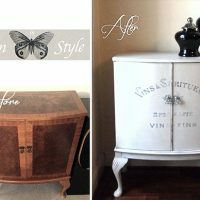 Using white chalk paint, she coated the dresser with a couple layers of chalk paint. Next, she lightly sanded the dresser to give it a vintage look. Diane then decided to transfer the Handwriting Graphic onto the front. She finished the dresser with a layer of wax paste to seal it. She also made over the little pink makeup case using the Flower Seller French Graphic. These projects turned out wonderful! Thank you, Diane, for sharing them with us today! To see more of Diane’s work, visit her Etsy Store. To learn how to transfer images yourself, visit the Transfer Methods Page. « Cats with Goldfish Clip Art ! 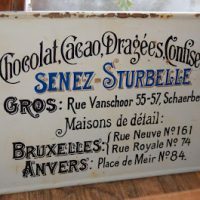 I have tried a couple times to transfer laser printed graphics using Mod Podge transfer medium and have not been able to totally remove the (image background) paper – there is always a thin bottom layer of paper that won’t come off – HELP! Thanks. Hi Kim, It takes some time and patience to get all off! Sometimes you add a sealer to bring out the image a little more, but make sure you practice that on a scrap piece first. Also, the best method for Furniture Transfers can be found here https://thegraphicsfairy.com/12-easy-image-transfer-methods-for-diy-projects/ Click on the first method to get the full Tutorial. Lovely – can you tell me which transfer method was used for the dresser and smaller items in the photo? Thanks.